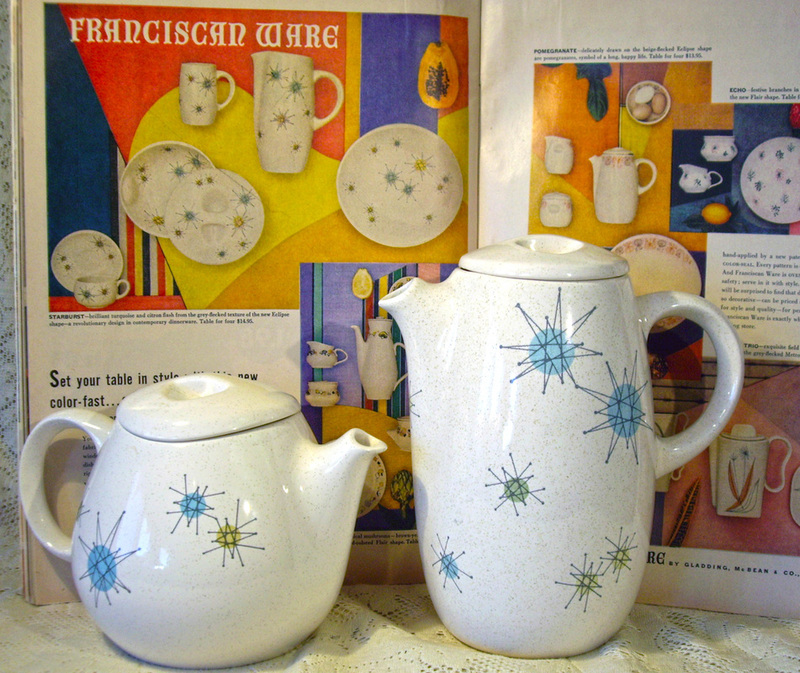 ​Franciscan "Starburst" pattern was introduced in 1954; a smooth, decal-pattern design, as opposed to a raised, hand-painted pattern. With the prosperity that came after World War 2, consumers were ready for something new. The futuristic starry design on Franciscan Starburst fit in well with a new chrome kitchen and modern appliances. The pattern was designed by George James and was placed on the Eclipse dish shape. Starburst shares this futuristic dish shape with two other Franciscan designs of the 1950's: "Duet" and "Oasis."